Springtime is antifouling-time. At least once every two years the protective layer of your sailing yacht should be renewed. 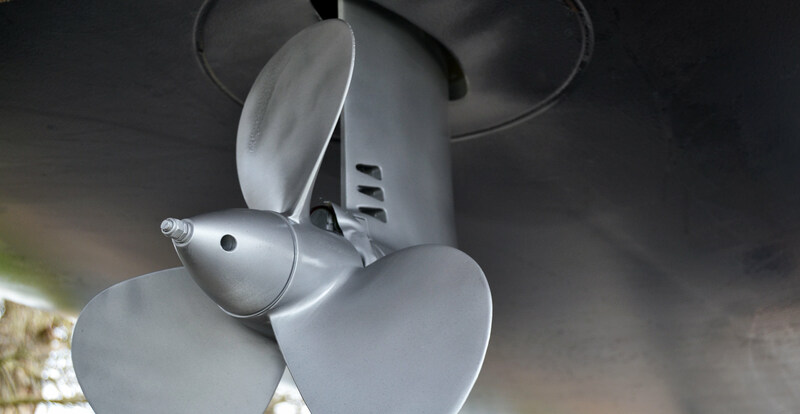 Especially since the latest environmental protection laws have put some of the most common biocides for yacht hulls on the red list. Most available antifouling treatments nowadays maybe better for the environment, but “good for environment” means “good for living organisms” and that´s what an antifouling was intended for. 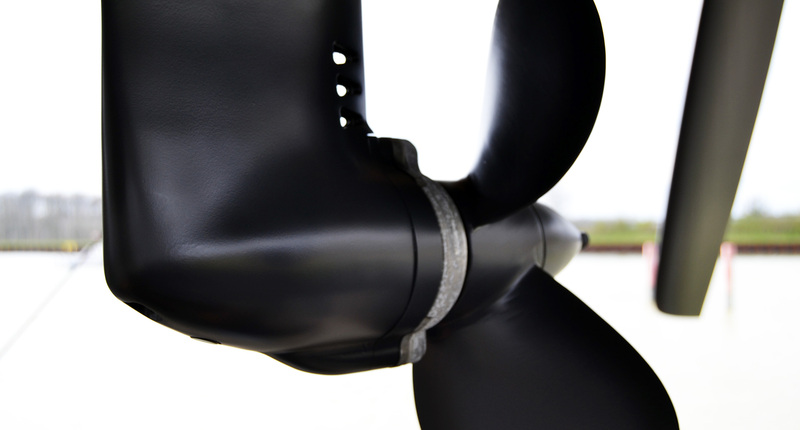 Well, that´s another article – this one is about protecting your propulsion units, speaking of saildrives and props. Freshly painted hull with new antifouling. But … there´s something missing. This week I was joining our professional boat handling crews on our Beneteau Oceanis 35.1 sailing yacht which was re-animated from her winterizing state and put in the water. I took the chance and went there because an interesting detail was up and on the list: Antifouling treatment for the propulsion unit of this boat. 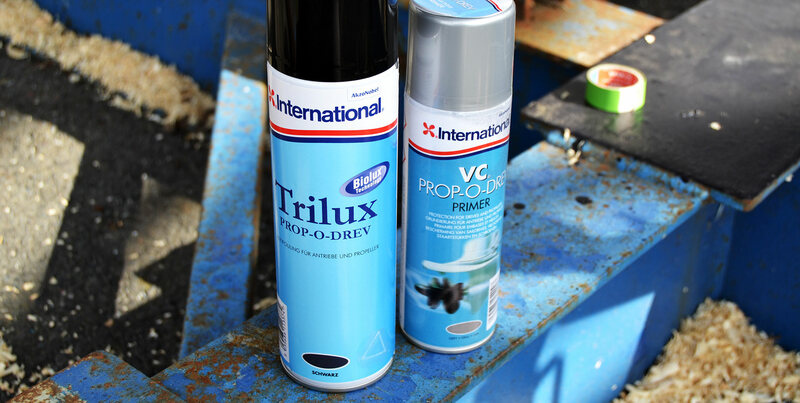 As the sailing yacht was in her rack still on dry land her shiny new and beautifully executed black biocidal coating was shining in the spring sun but all of a sudden the saildrive and her screw instantly jumped into my eyes: No antifouling treatment here. Well, with a new boat you can have the boat ordered with or without antifouling but I´ve never seen a brand new boat with prop-unit being covered. Why this is that way? I don´t know. Saildrive and screw aren´t protected yet. But as a matter of fact, you should have your propulsion unit protected against barnacles, algae and other stuff that will make home of your precious hull. 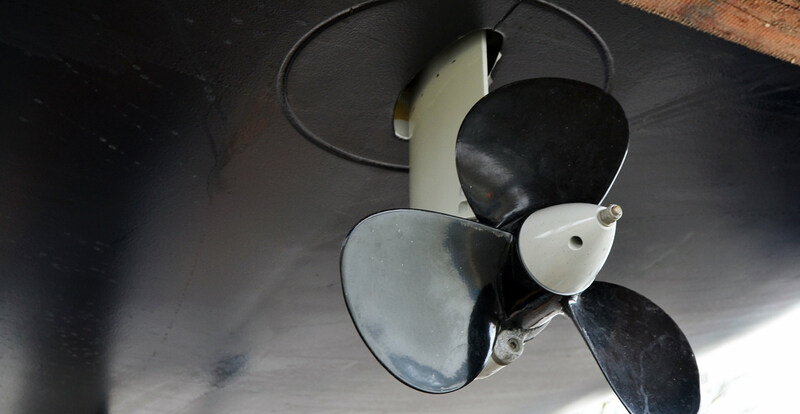 It´s a wide known fact that it will cost knots if your boat is overgrown with biological sealife, not to mention that a screw won´t propel the boat sufficiently when the profile of the propeller is compromised by barnacles. After I opened the pores of the saildrive´s brand new paint by sanding off a bit of it with a 100 grain paper I gave the screw a similar treatment. It was kind of awkward to take off the precious nicely done paint from those new products but you need to sand first in order to have the paint sticking to the materials, it´s the same with metal as with wooden stuff for sure. I primed the prop unit with two layers of primer. The drying period of each layer – standing outside with merely 12 degrees Celsius and a slight breeze – was not more than 15 minutes. After having done the priming I sprayed the actual antifouling-paint in two layers as well which meant that the whole propulsion unit was finished and shining black along the rest of the hull after 3 hours all included. How the Prop-o-drev products performed? We will know at the end of this season when the boat is put in her winter-storage again. What a good day: I was really proud of my work. And it helped me to plan the refurbishment of the antifouling of my own yacht as well. Here it will be a far bigger effort needed because my boat is covered in the old, now forbidden copper-containing antifouling. I will have to get off the whole treatment of my hull and re-build a whole new biocidal cover, which really is a thing I am looking forward to. Because this means when I am doing this, the infamous interior-refurbishment will be finished at last! 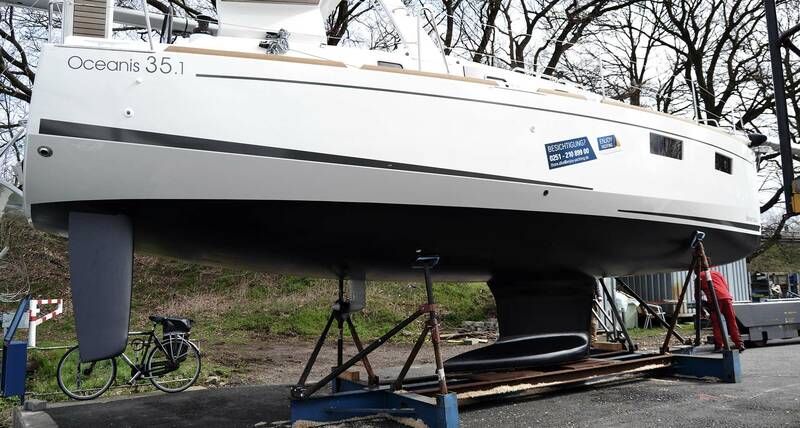 Our Oceanis went into the water which is a small marina in the middle of Western Germany. A new adventure is coming up: I will skipper this yacht through some of the nicest channels and inshore-waterways up to the Baltic shore, starting next week. I am sure that this inshore delivery will produce some nice articles showing a different, more relaxed and laid-back version of sailing (of course, without actually hoisting a sail). Stay tuned! Previous Post	Half model of an Oyster 745 – finished!